» Prepar3D v3.2 – Available Now! We are pleased to announce the release Prepar3D v3.2! 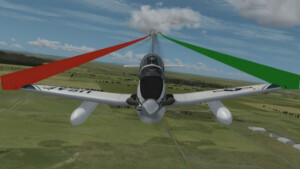 The new v3.2 update brings several new features and numerous platform, rendering, SimDirector, SDK, SimConnect, and multiplayer updates – including increased performance for multiple views and touch gesture support. For Professional Plus users, Prepar3D v3.2 introduces the SimOperator instructor operator station (IOS) and new native Distributed Interactive Simulation (DIS) support. The Prepar3D v3.2 update is available now and can be downloaded from your Downloads page. If you currently own a valid Prepar3D v3 license, there is no charge to update to Prepar3D v3.2. Prepar3D now offers separate updates for the Client, Content, and Scenery. This will make updating faster and easier than ever before. Please be sure to read the Prepar3D v3 Download and Installation Directions for more details on how to quickly update to the v3.2 release. The Lockheed Martin Prepar3D team loves hearing about your experiences with Prepar3D at our Forums. The forums also give us an opportunity to listen to your feedback as we continue Prepar3D development. We’ve partnered with our forum users and with several featured developers to continue to bring added features, enhancements, and optimizations all while bringing additional backwards compatibility, bug fixes, and stability to Prepar3D v3.2. You can find a full list of What’s New below. The following list of updates has been categorized based on the installer required. The Client installer is required for Prepar3D v3.2, however the Content, Scenery, and SDK installers are optional. You must first have Prepar3D v3.0 or v3.1 installed to utilize the Client only installer. To install the Prepar3D v3.2 Client, you must first uninstall the Prepar3D v3.0 or v3.1 Client via Programs and Features in Windows Control Panel. The Prepar3D v3.2 Client update will require you to reactivate your product, however if you have an internet connection or have not made any major hardware changes between installations this should not be an issue. For more information please view the Prepar3D v3 Download and Installation Directions. If this is your first time installing Prepar3D v3, you can simply install Prepar3D v3.2 directly. Prepar3D v3.1 will no longer be available from Prepar3D.com. Thank you for your continued support for Prepar3D. We hope you find that Prepar3D v3.2 continues to be the most immersive learning, simulation, and training platform available.